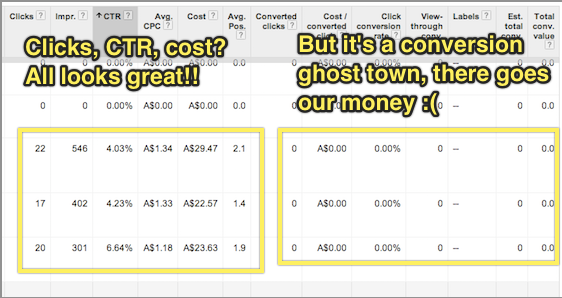 Zero AdWords Conversions: Sales Problem or Marketing Problem? 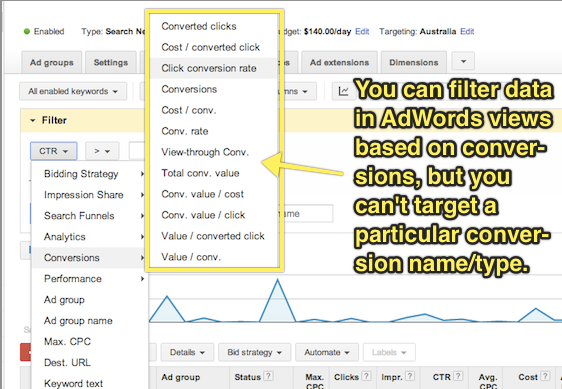 Zero AdWords Conversions: Do You Have a Sales Problem or a Marketing Problem? It’s exciting when you first start buying AdWords traffic. You have your offer, you have your landing page up, you’re gonna make it after all! But that excitement quickly turns to dismay when you find that no one is buying your stuff. Nobody’s signing up. And every day AdWords keeps taking your money. At this point many people simply give up on AdWords. The sad truth is that there are very few businesses that are likely to succeed in the long term if they can’t get even a few customers through AdWords initially. That’s a pretty big claim, but read on and you’ll see why I’m confident in making it. The first step in getting more AdWords conversions is figuring out what a conversion even means for your business. AdWords conversion tracking allows you to see which of your ads and keywords are getting you the best results. The actual mechanics of setting up conversion tracking are explained pretty well in Google’s own support documentation and on the face of it this seems like a pretty trivial issue. If you run a SaaS business, you would set up a conversion event to trigger when someone signs up. If you’re running an eCommerce business you would set up a conversion event to trigger when someone buys from you. What the Google support documentation (and virtually every other resource on conversion tracking I’ve ever encountered) fails to discuss, though, is what to do when you have zero conversions. Chances are that you’re not going to get sales or sign-ups immediately after you start advertising. Keyword targeting: which search terms represent the best opportunities for you to connect with your target market cost effectively? Conversion: how do we actually sell to our target market? You can think of these as being a “marketing problem” and a “sales problem” respectively. If you find that you have a steady stream of affordable traffic from people looking for your product but no one buys, you have a sales problem. If you find that you can’t afford or can’t find any significant traffic volume from people in your target market, you have a marketing problem. 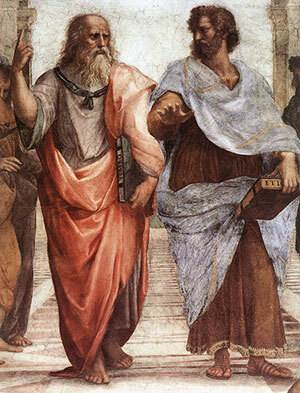 It’s quite difficult to try and fix both marketing and sales problems simultaneously. When you’re working on targeting your AdWords spend, especially if your product or service is a bit ambiguous or something quite new, it can be very useful to know which keywords indicate someone as being in your target market even if they haven’t bought from you yet. For example, say you have a solution for small investors to quickly and easily purchase low-risk diversified company stocks with little research or upfront cash investment. Your target market is certainly online and searching for things related to your solution, but they’re not searching for exactly what it is you’re selling because they don’t know it exists yet. You have a marketing problem. Alternatively, say you sell ladies shoes in petite sizes. People are online searching specifically for what it is you’re selling, but they don’t buy from you. You have a sales problem. In other words, you want to try and solve your marketing problem independently of your sales problem and this is where using an “intermediary” conversion event in AdWords can help. If you sell widgets, and people are looking for widgets, and they come to your site and don’t buy widgets from you, it’s pretty obvious that there’s a problem. It’s not always immediately apparent, though, whether this is a marketing problem or a sales problem. The trick here is to fix the marketing problem first by picking just a few of the most promising search terms and focusing on selling to these people. That way you can hone your sales process while risking very little money on AdWords traffic that doesn’t convert. But how do you know which search terms are the most promising if no one is actually buying from you? A good example of this is if you’re running an online shoe store focused on shoes for early childhood up to age 4. When someone searches for “kids shoes” and comes to your site, but doesn’t buy, was it because your site is poorly optimised and has a hostile user experience (a sales problem), or was it because people searching for kids shoes are mostly looking for shoes for school-aged children over the age of 5 (a marketing problem)? To find out, you can place a conversion event at the start of your purchase process, rather than the finish. For example, you could trigger a conversion if someone adds any product to their cart. Another tactic might be to put together a landing page that has a very simple headline/value proposition and a “Learn more” button that goes to your product page. If you make your headline clear enough, eg. “Healthy shoes for children aged 4 and under” you can be certain that anyone who clicks “learn more” is looking for shoes for their children aged four and under. In some cases, the task of triggering an “intermediary” conversion event can be technically laborious. For example, imagine that I wanted to trigger a conversion event if someone went to any page on my site, other than the homepage. Or that I wanted to trigger a conversion when someone clicked “buy now”, triggering a checkout popup window (even if they didn’t complete their purchase). Google Tag Manager is a tremendously useful tool for tracking complex conversion events in both AdWords and Google Analytics. Not only can you do traditional “page based” conversions using “rule sets” that trigger your conversions (for example, “trigger this conversion on any page other than the homepage”) but you can attach conversions to virtually any event by using Google Tag Manager Auto Event Tracking. There’s plenty of good info on how to get started with Google Tag Manager already around the interwebs, so I’ll leave the details of this as an exercise for the reader. While you can use multiple conversion events and then extract data using AdWords segments to see which keywords are converting according to a particular event, I would highly recommend keeping things simple and just working with one single conversion event at a time. Using a single conversion event at any given time means you can simply look at your conversion rate in all AdWords screens without having to download a report first and, more importantly, that you can filter your data within AdWords based on conversion rate. It’s important to remember, though that if you’re working with a single conversion event at a time, that your “conversion rate” will change it’s meaning over time. That’s to say that if you start off using a “click on any page other than the homepage” event as your conversion event while you target your keywords, then switch to “view of plans/pricing page” while you test your page copy, then switch to tracking “clicks of the signup button”, you will need to record when each of these changes is made so that you look at your conversion rate only within the appropriate timeframe. Using PPC landing pages to drive sales for your business is like a super power. But remember that AdWords isn’t just marketing – it’s also market research. Setting realistic intermediary conversion events allows you to quickly, easily and cheaply validate ideas even before you start selling. I hope that by applying the principles in this article you’ll be able to use AdWords conversion tracking to incrementally improve each stage of your conversion funnel, and build an unstoppable sales machine for your business or your clients.